14 Dec The Marketing gal who set out to sparkle! In the name of research our Marketing Manager Bim got up early on a Sunday (yes it was a struggle!) 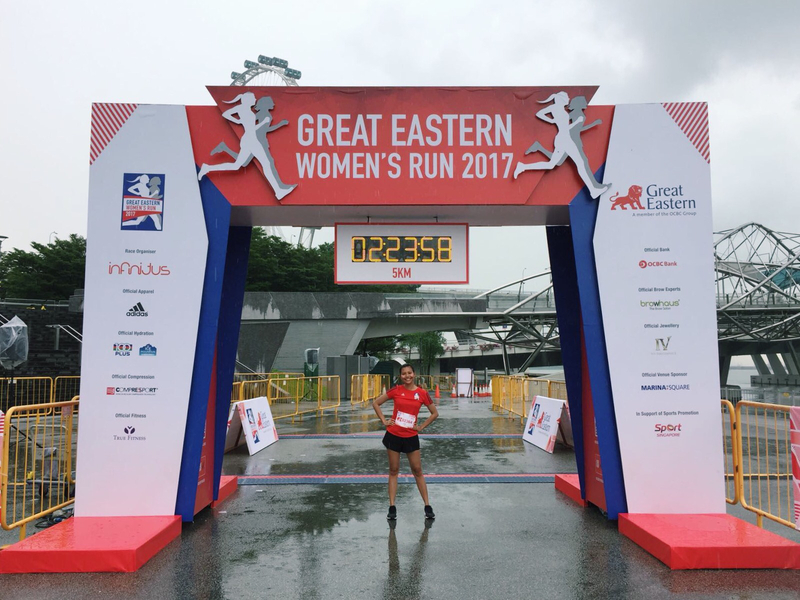 and undertook the “newbie” experience by participating in the Great Eastern Women’s Run. In her first ever competitive event, Bim bravely accepted the 5km challenge, donned her red t-shirt, and started amongst 3000 other women on a journey of fun, sweat and ……… diamonds! With two training sessions under her belt, she embarked on 5km of intermittent running with (mostly) walking, alongside the flurry of chatty women. The marketing guru loved the diamond sanctuary (with the lure of winning a $12,000 diamond) for its targeted engagement with the women, and she noted that the two larger than life ball pits of coloured fun was a nice added activation to keep the event fresh in its seventh year. A little jig at the finish line an hour later and our exercise averse colleague is a convert (and is already talking about her next event! ).